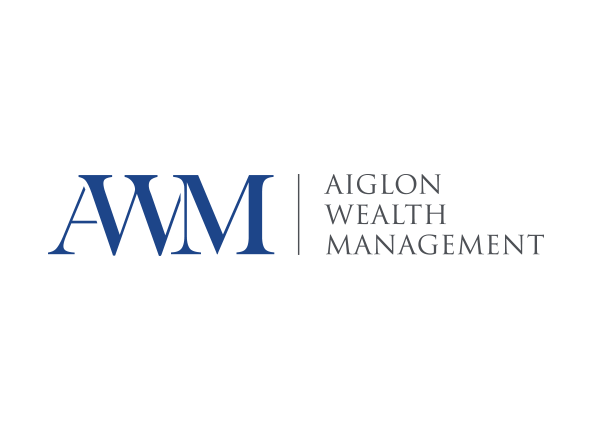 The financial investment market is a highly competitive industry and as a newly formed company Aiglon Wealth Management required a presence that portrayed an established, trustworthy and professional outfit. 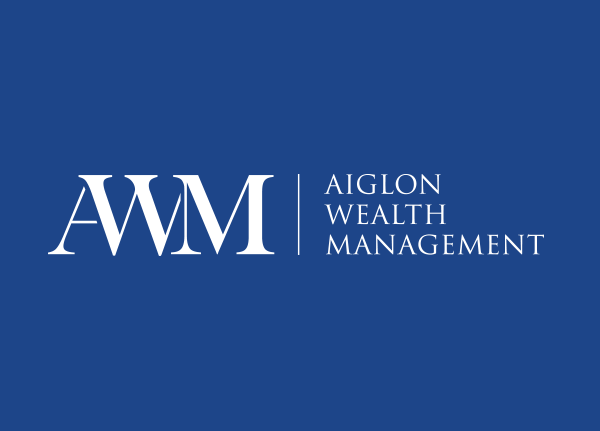 We presented several branding concepts and one clear direction was selected and developed, refined and finalised and a monogram was born from the company initials. 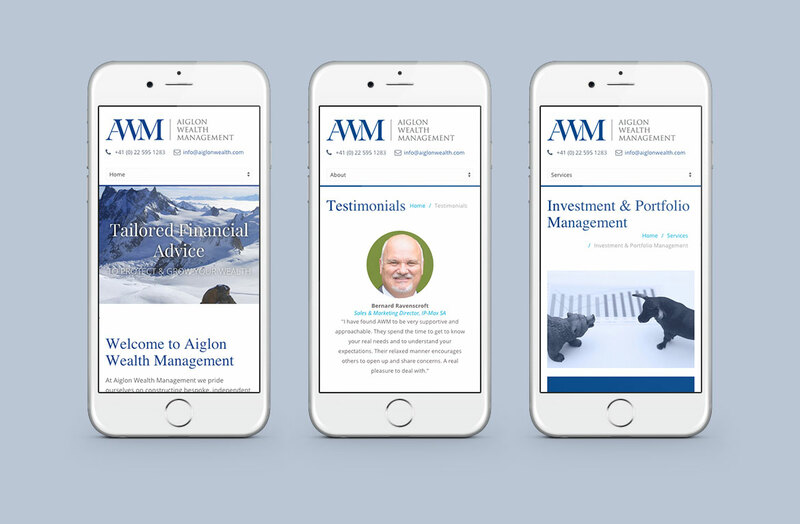 We then addressed the AWM website delivering a clean looking corporate solution where the imagery was carefully selected. 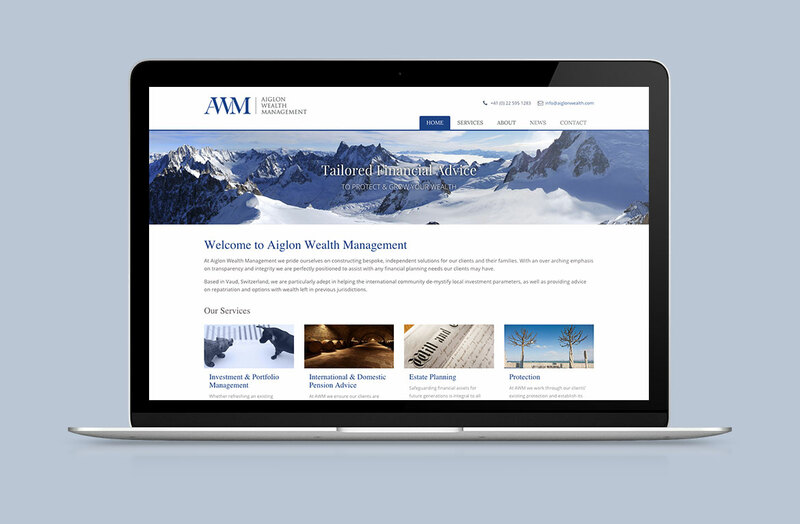 The unique location of the company headquarters in the Swiss Alps was decided upon as a feature and makes an eye catching image aswell as being a symbol of strength and solidity. 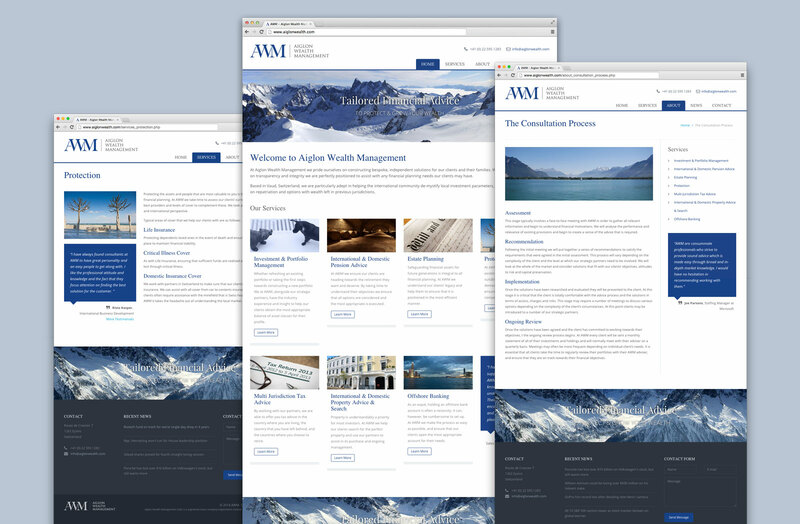 The site is fully responsive and renders perfectly for a full range of screen sizes and devices.